New research published in Transport Policy identifies the potential impact of car sharing schemes on car ownership. 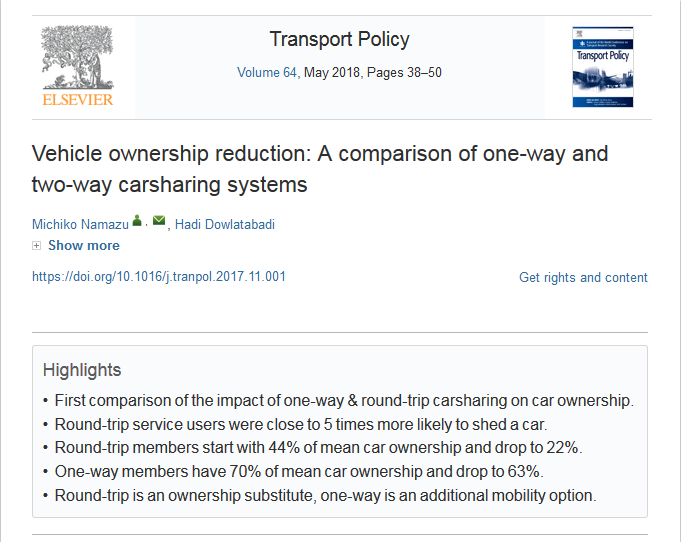 Based on interviews with 3,405 car sharers in Vancouver the authors find round trip car sharing, where the vehicle is picked up and dropped off in the same place, is an active substitute for car ownership. One way car sharing on the other hand is an additional mobility option. These tomatoes are grown on the roof!